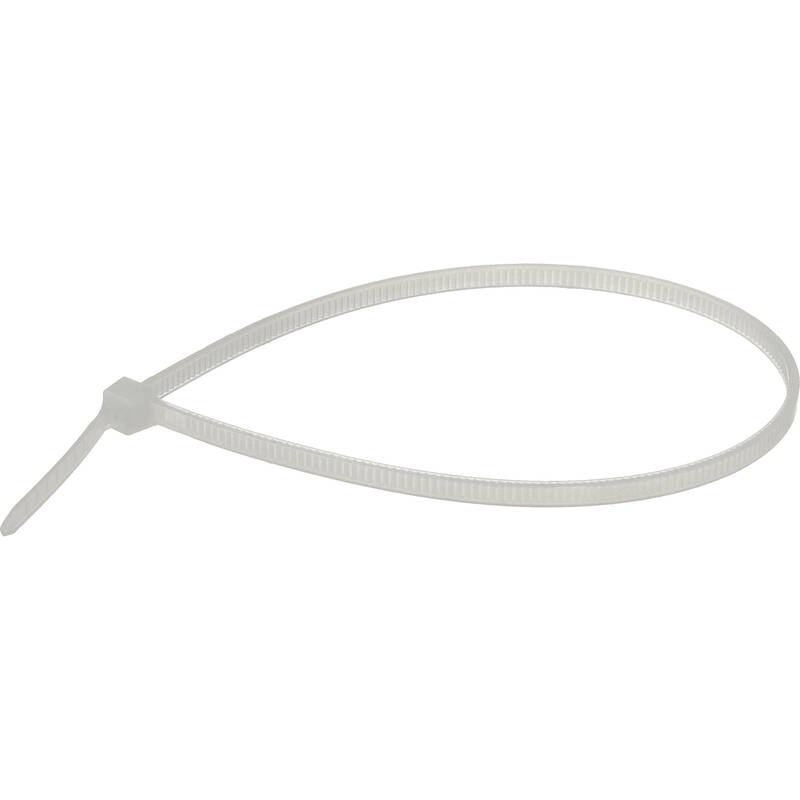 Box Dimensions (LxWxH) 8.2 x 4.0 x 0.7"
8" Plastic Cable Ties - Clear (100-Pack) is rated 4.6 out of 5 by 11. Rated 4 out of 5 by Grant from What can you say about a Zip-Tie? I don't recollect if the size was noted on the website, but these are a bit lighter duty than the most common ones you see at a box store. For a couple bucks for a hundred, they are fine. I use these for securing mic cables and the like, just right. Rated 5 out of 5 by alquds from Better than the 99 cent store cable ties Simple cable ties but very resistant to breaking when being fastened. Worked very well for my pc build. Much better than the 99 cent store cable ties and are easily cut with wire cutters. Rated 4 out of 5 by Scott from thin These are good, but very narrow and thin; hence, the low price.? Probably good for basic installs of small wiring in a PC vs. something where cables may get any strain on them. Rated 5 out of 5 by Simcha J. from Does the Job I am using these to secure wire fencing to a tomato plant pot to prevent rodents from eating the tomatoes. They work as well as any other tie I've used. Rated 4 out of 5 by Ali from Impressed for the price. These ties are pretty good for the price I'm impressed. Rated 5 out of 5 by Bryan from Solid cable. Happy with it. Good cable. No issues with it. Exactly what I needed.